This is the latest in the Computer Animation Festival series of DVD releases by Animation Entertainment! 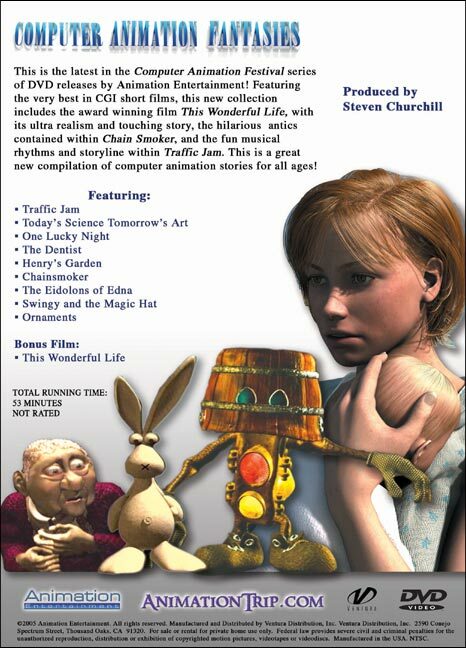 Featuring the very best in CGI short films, this new collection includes the award winning film This Wonderful Life, with the ultra realism and touching story, the hilarious antics contained within Chain Smoker, and the fun musical rhythms and storyline within Traffic Jam. This is a great new compilation of computer animation stories for all ages!